U.S. Treasury Secretary Steven Mnuchin is concerned about market volatility. So concerned, in fact, that he said in a roundtable interview at Bloomberg’s Washington office on Tuesday that he plans to ask the Financial Stability Oversight Council, which he oversees, to look into what’s causing the turbulence. His working hypothesis is that high-speed traders and the Volcker Rule are to blame. If Mnuchin was concerned on Tuesday, he must be spooked by now. The S&P 500 Index fell 1.5 percent on Wednesday and an additional 1.6 percent on Thursday. And the market expects more pain. 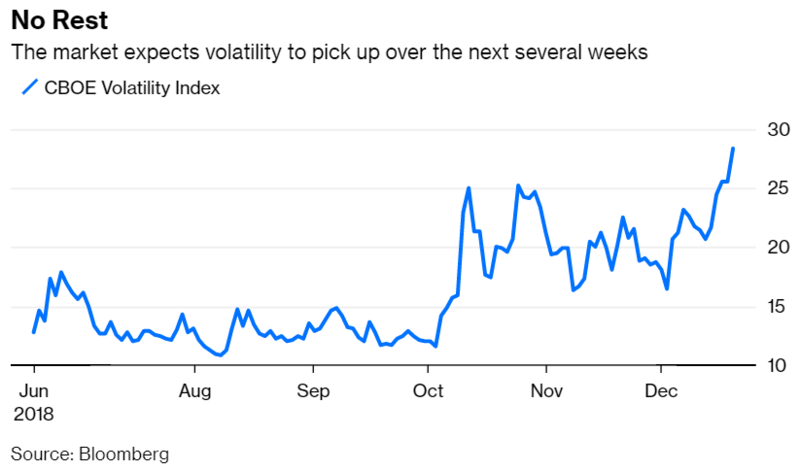 The CBOE Volatility Index, or VIX, which measures expected volatility over the next 30 days, closed at 28.38 on Thursday, up 73 percent since Dec. 3 and 11 percent since Tuesday. But here’s the reality: There’s nothing amiss about the recent volatility, and if anything, volatility has been lower than usual in recent years, not higher. Like stocks that have low price-to-earnings ratios? How about ones that have outpaced the market? Or shares of small companies? Those are known as factors: quantifiable characteristics that some money managers use to identify stocks associated with above-market returns. But factor investing is tricky. Sometimes it pays; other times it doesn’t. Bloomberg Opinion columnists Nir Kaissar and Noah Smith recently met online to debate whether factor investing is worth the effort. They previously discussed corporate debt. Nir Kaissar: It’s widely acknowledged that some factors have historically outpaced the broad market. For example, companies that are cheap relative to earnings, cash flow or book value have beaten the market during the past six decades. The same is true of small companies and highly profitable ones. 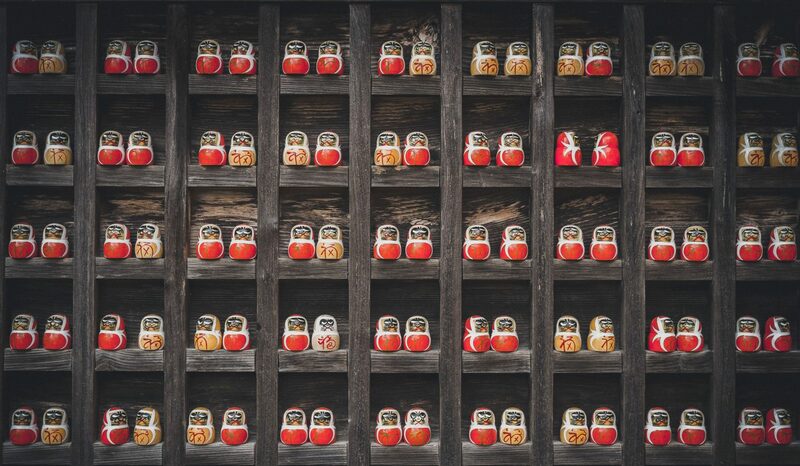 In a 2017 paper titled “Replicating Anomalies,” economists Kewei Hou, Chen Xue and Lu Zhang identified 67 factors that have produced statistically significant outperformance from 1967 to 2014. In other words, the success of those factors most likely isn’t attributable to chance. Seeing an opportunity, fund companies have rolled out a dizzying variety of factor funds in recent years. Investors have poured $762 billion into exchange-traded funds that track factor indexes, according to Bloomberg Intelligence. That’s up from $98 billion at the end of 2007. But the question is whether factor investing will continue to pay. Many investors are skeptical. Returns for value investing, arguably the best-known factor, have lagged the market for more than a decade. Meanwhile, broad market indexes such as the Standard & Poor’s 500 Index, which have no meaningful factor exposure, have been among the best performers. The answer may depend on why factor investing has been profitable in the first place: Is it compensation for taking additional risk or an opportunity to exploit other investors’ mistakes? It’s a hotly debated question, and it relates not only to factor investing, but to how the markets work more generally. Noah Smith: I think there are two main questions about factor investing, and you’ve already touched on both. The first question is what these factors are. Why did things like value, size and momentum show outsized returns for so many decades? Efficient-markets theory says that these outsized returns represent compensation for taking risk — for example, that small stocks sometimes crash even when the market as a whole is not crashing. As asset manager Cliff Asness has pointed out, that interpretation sort of makes sense for factors like size and value that represent long-term characteristics of companies. But for momentum, it doesn’t really make sense — companies that have high momentum one year often have low momentum the next. It looks like the momentum premium is simply free money, the product of some enduring market inefficiency. This question is important because investors deserve to know whether factor investing is actually increasing their risk, or whether they’re beating the market. The second question is how long factors persist. You’ve already noted that the value premium has been shrinking over time. But a lot of factors decay even faster. A 2015 paper by economists R. David McLean and Jeffrey Pontiff found that when academics publish a paper about a factor, it tends to shrink or disappear shortly afterward. But a factor tends to hold up between the time they’re discovered and the time the paper is published, implying that the disappearance isn’t a result of publication bias. Instead, this suggests that the market is full of small inefficiencies, which academics and investors are constantly discovering and correcting, and which temporarily manifest themselves as factors. The U.S. stock market is warning investors about earnings, and it’s time to pay attention. The S&P 500 Index slipped into a correction on Dec. 7. It ended the day down 10.2 percent from its recent peak on Sep. 20, breaching the 10 percent decline that customarily marks a correction. The index is little changed this week through midday Friday. Investors are comforting themselves, as they have all year, with reassurances about strong fundamentals. According to estimates compiled by Bloomberg, Wall Street analysts expect earnings for the S&P 500 to grow by 12 percent in 2018 and by an additional 9 percent in 2019. That’s well above the average growth rate of 4 percent a year since 1871, according to numbers compiled by Yale professor Robert Shiller. It’s false comfort, however. As I pointed out in May, declines in the stock market most often precede slumps in earnings rather than the other way around. And this would be a particularly bad time for earnings to disappoint. Stock prices have rarely been as vulnerable to a downturn in earnings as they are today. If the market decides that the earnings outlook is too rosy, the recent sell-off could get a lot worse. 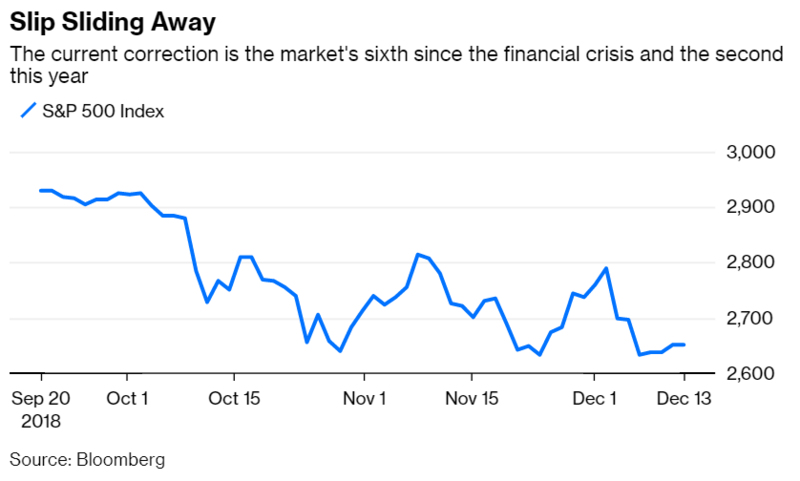 U.S. stock investors who are anxiously watching the yield curve are worried about the wrong inversion. Investors have been howling about interest rates since Monday, when part of the U.S. Treasury yield curve inverted for the first time since 2007. 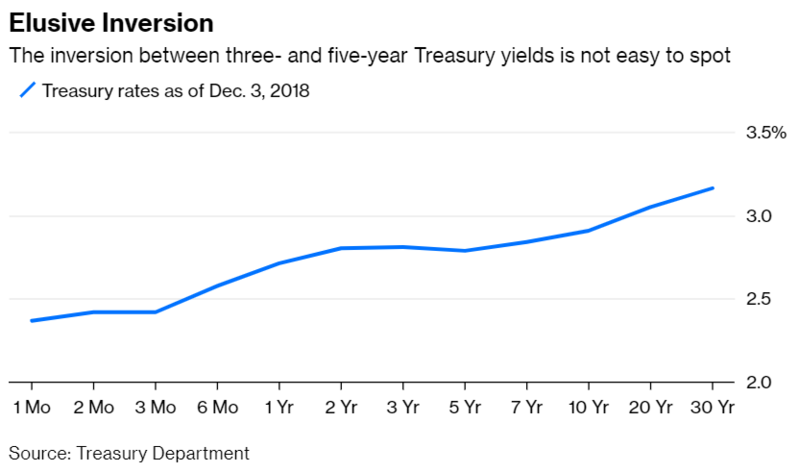 The five-year Treasury yield dipped below that of the three year by a razor-thin 0.01 percentage points. Yawn. Granted, that’s not supposed to happen. The yields for longer-term bonds should be higher than those for shorter-term ones to compensate bond investors for parting with their money for a longer period. When investors accept a lower yield for longer-term bonds, it implies that they expect interest rates to decline. And declining rates have often been accompanied by recessions and bear markets. But the fuss is overdone, at least so far. The “inversion” is so minuscule that it’s imperceptible on an actual yield curve. It’s also limited to a small part of the curve. As others have already pointed out, an inversion between the two-year and 10-year Treasury yields would be more noteworthy. Instead, investors should keep an eye on a different inversion: the difference between the earnings yield on stocks and the yield on cash. When the earnings yield has dipped below the cash yield in the past, stocks were in for a rough ride. Active bond managers have dazzled investors by outpacing the bond market in recent years. But it’s a simple sleight of hand, and the big reveal is coming. The trick is that bond managers have been quietly loading up on low-quality bonds. 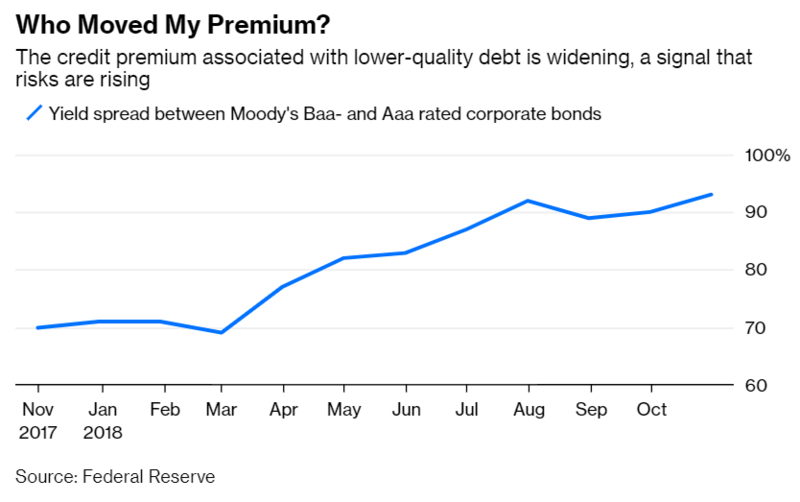 They pay a higher yield than top-quality ones to compensate for their greater risk of default — in technical parlance, a credit premium. When times are good, as they have been in recent years, there are few defaults because borrowers have little trouble paying their debts. Bond managers collect their credit premiums and easily beat the broad bond market indexes, which tend to be dominated by high-quality bonds. When the economy slows, however, the defaults start to pile up, handing losses to holders of low-quality debt. And suddenly bond managers don’t look so smart. It’s a worthwhile trade-off for managers. The booms normally last longer than the busts, which means that credit premiums are usually a boost to performance. And nothing attracts investors like a hot hand, or the appearance of one. But it’s not great for investors. They often don’t realize that their bond manager is taking more risk until the losses show up. And investors who want riskier bonds can almost always buy them more cheaply through index funds. They would be better served by a closer inspection of bond managers’ tricks of the trade. The unicorns are coming, and not a minute too soon for many investors. 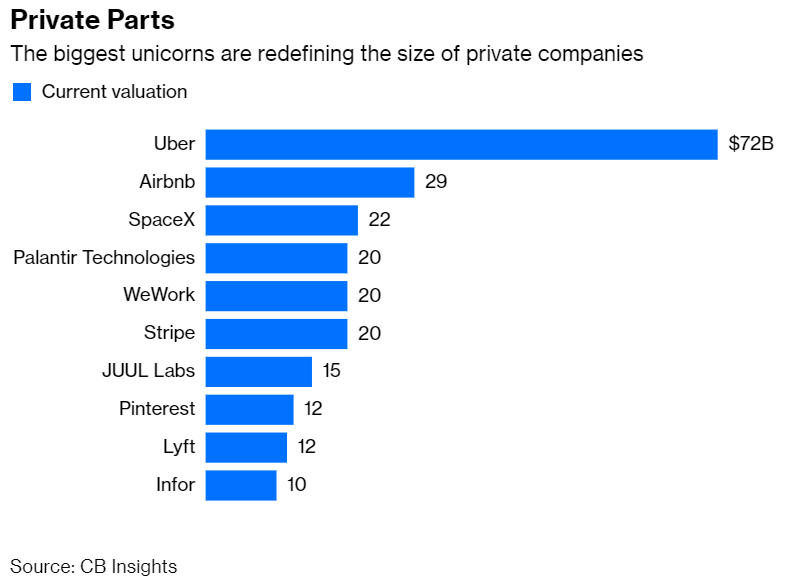 As Bloomberg News reported recently, a flood of private companies are planning initial public offerings for next year, including behemoths such as Uber, Lyft and Slack Technologies. Airbnb may also add its name to the list. Investors have been eager to get in, enviously watching humble startups morph into billion-dollar ventures. If only Uber and its cohorts had gone public earlier, investors tell themselves, they, too, could have profited from their rise. Except it’s an illusion. For every Uber, there are many more startups that investors have never heard about. And even if they had, it would have been nearly impossible to pick the winners in advance, no matter how inevitable their success may seem now. The truth is, startups are doing investors a big favor by putting off IPOs until they’re more grown up. Alan Greenspan, chairman of the Federal Reserve from 1987 to 2006, sent a shiver through investors last week. In an interview on “The David Rubenstein Show: Peer-to-Peer Conversations” on Bloomberg TV, Greenspan warned that the U.S. may be poised for a period of stagflation, a rare combination of high inflation and high unemployment. The U.S. last experienced such an episode in the 1970s and early 1980s, and the memory still haunts those who lived through it. 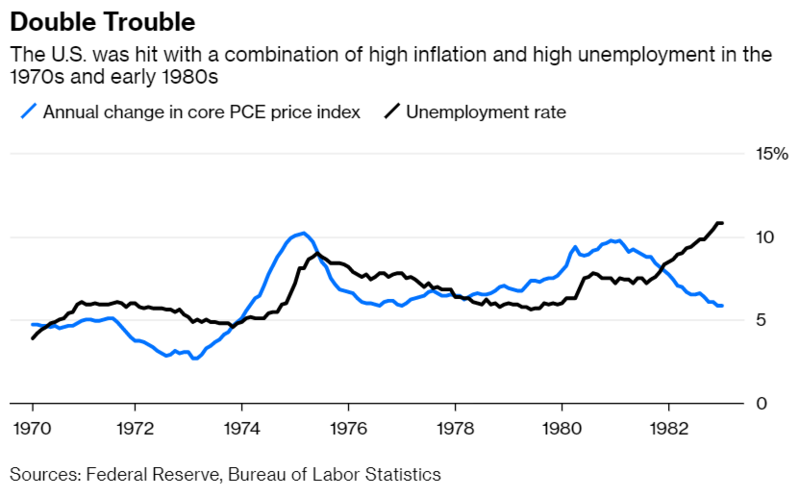 The annual inflation rate jumped to 9.8 percent in 1980 from 2.9 percent in 1972, according to the core PCE price index, a measure of personal consumption expenditures excluding food and energy and the Fed’s preferred inflation gauge. Meanwhile, the unemployment rate swelled to 10.8 percent in 1982 from 3.5 percent in 1969, according to the Bureau of Labor Statistics. For members of Generation X — which includes me — and subsequent generations, stagflation is ancient history. Annual inflation hasn’t topped 3 percent since 1993 and has averaged just 1.8 percent since then. And the current unemployment rate of 3.7 percent is the lowest since 1969. Still, the implications for investors of skyrocketing inflation and unemployment come quickly to mind. According to lore, a surge in inflation would lift interest rates, causing bond prices to decline and thereby wrecking bond portfolios. Higher interest rates would also thump stock prices because future corporate earnings would be worth less when discounted at higher rates. And all of that would come when many investors would lean on their savings to offset higher living costs and possible bouts of unemployment. A battle is brewing between Wall Street and stock exchanges. Wall Street says it’s fighting for ordinary investors, but don’t be fooled. Like everything else on Wall Street, this dispute is about the bottom line. At issue is the cost of market data. Financial firms need price data to trade. They say the exchanges charge too much for that data and that ordinary investors get stuck with the bill. Consequently, they argue, exchanges should give investors a break by lowering fees. It’s a clever but misguided argument. To see why, a bit of background is needed. Stock exchanges report the trades they execute and their best bid and offer prices to securities information processors, or SIPs, which consolidate the information into a real-time price feed. A group of exchanges and trading firms operates the SIPs, with oversight from the Securities and Exchange Commission, and financial firms pay a subscription fee to obtain access to the feed. But the exchanges have a trove of other proprietary data that isn’t reported to the SIPs, such as volume and types of orders (market, limit, stop, etc. ), and they can deliver it faster than the SIPs. That’s crucial for high-frequency traders and for banks eager to impress well-heeled institutional investors. Don’t be so quick to believe the dirt you hear about brokers. That’s the inescapable takeaway from research reported by Bloomberg News last week showing that false accusations of broker misconduct are disturbingly common. Dynamic Securities Analytics, a securities litigation consulting firm, reviewed 82 arbitrated disputes between brokerage firms and their former brokers that took place between 2016 and the first quarter of this year. In roughly half of those cases, arbitrators concluded that firms had defamed brokers when reporting the reasons for their dismissals. Leaving aside the irreparable damage to the reputations of falsely accused brokers — which is considerable — Dynamic’s research raises serious doubts about the reliability of brokers’ public employment records. Brokerage firms must disclose brokers’ comings and goings and any wrongdoing they commit along the way. That information is meant to allow investors to evaluate brokers’ backgrounds and dodge bad actors. And if those disclosures are to be believed, then there is an alarming amount of bad behavior. Researchers Mark Egan, Gregor Matvos and Amit Seru reviewed brokers’ employment records dating from 2005 to 2015 for a study in the Journal of Political Economy. They found that 7 percent of brokers have a record of misconduct and that the number exceeds 15 percent at some of the largest brokerage firms. It’s no secret that public-school teachers are paid too little, or that the problem won’t be remedied overnight. But there is something the U.S. can do right now to give teachers a more prosperous future, and the cost to taxpayers would be trivial. I’m referring to teachers’ retirement savings plans, or 403(b)s. Like 401(k)s for private-sector employees, the plans let teachers defer taxes on money they save for retirement. But, the similarity ends there. Unlike 401(k)s, retirement plans for public-school teachers are generally exempt from the Employee Retirement Income Security Act. ERISA is a federal law that imposes a fiduciary duty on anyone with authority over a 401(k), such as a trustee, administrator or investment adviser. That means they must put the interests of the plan’s participants ahead of their own. In other words, they can’t fill plans with products that are great for their bottom lines but detrimental to participants. Another important difference is that retirement plan providers sell 401(k)s to employers, but they sell 403(b)s directly to teachers. That’s an important distinction because employers have the resources to properly vet the vendors and their investment offerings. And they can leverage the collective savings of employees to negotiate lower fees. Individual teachers have none of those advantages. Also, 401(k) participants are responsible for choosing among a plan’s limited range of investment options, which is challenge enough for many workers. Now imagine having to navigate a sea of vendors, each with its own lineup of funds, impenetrable insurance products and complex disclosures. It’s a near-impossible task for any lay investor.